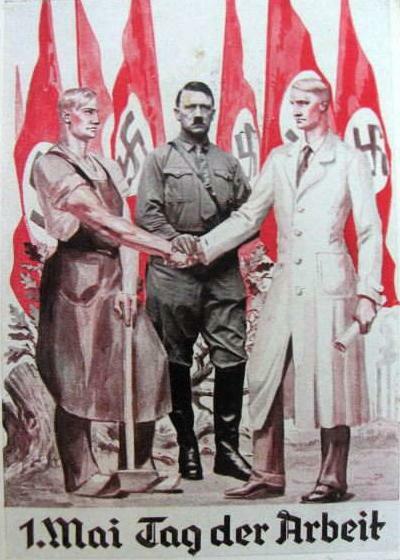 No less important to National Socialism is how the leader should treat the folk, and how members of the folk should treat one another. In this, the analogy of the pop culture icon and the fanbase continues to be useful. A pop culture icon obviously wants his fans to be in the best personal condition possible to appreciate his work. A fan who is hungry or homeless, or who has difficulty paying bills or who remains stuck in debt despite working long hours, or who must deal with chronic illness, or who is intermittently subjected to the stress of litigation, or who is otherwise saddled with formal banalities that consume most if not all of his daily faculties of attention, is unlikely to have the time and concentration or even be in the mood to devote himself to his icon no matter how much he would theoretically wish to. The same is true of a follower in relation to his leader under National Socialism, except that the leader – as a politician – is in a position to actively improve the living conditions of his followers via state initiatives. Therefore an initial objective of the National Socialist leader is to make sure his followers have enough physical and mental health as well as financial and civic reassurance in day-to-day living, all while sparing them from unnecessary bureaucracy, that followers can get back to doing that which they most love to do: providing fan support. Only a person can help another person. Bureaucracy has never helped anyone. Of course, a person has to be willing to help. 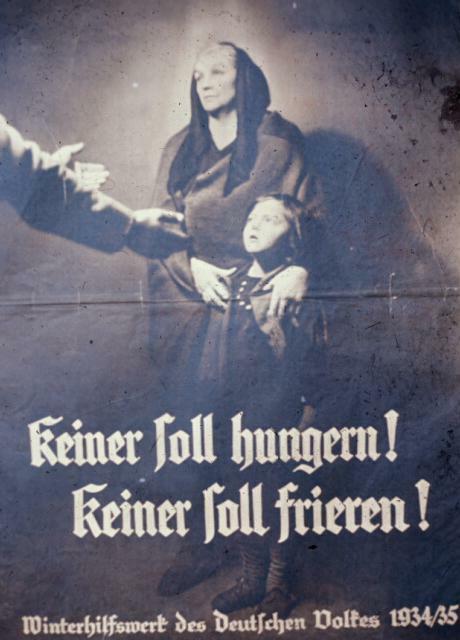 But by the same reasoning that National Socialism aims to relieve worry among the folk concerning the basic necessities of life, it discourages the pursuit of affluence beyond modest comfort. Just as uncertainty and insecurity in daily life diminishes fan enthusiasm, so too does the lure of unlimited profit distract from it. This is why it is rare for high-powered speculators, entrepreneurs and the like to also be die-hard fans of pop culture icons: their intensive observation of financial trends and networking with lucrative opportunism in mind uses up most of their energy, and they receive immediate rewards for attention or penalties for inattention, so their entire mindset is trained away from contemplation of personality. 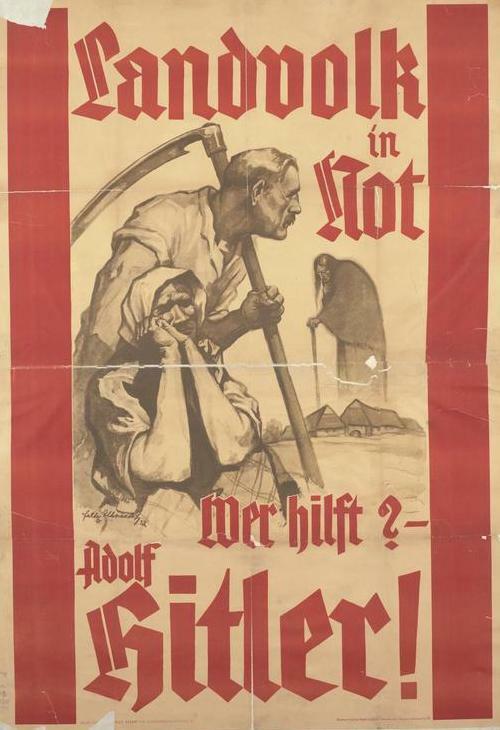 The National Socialist principle of strictly prohibiting income other than what is earned via productive labour, at the same time as it is about protecting the savings of honest workers against inflation, is also part of establishing a folkish habitat, which is fundamentally incompatible with the presence of capitalist temptations, but which instead works best with simple living. What we had back in the Golden Age. Simple life is the best! Further to this line of thought, fans of pop-culture icons are also in poor condition to provide fan support when they feel they are in competition against one another even within the domain of fandom, for this turns their focus away from the icon itself and towards rivalries inside the fanbase. A fanbase thrives when every fan helps every other fan support the icon to the best of each fan’s capacity, but it withers when some warped fans try to restrict the support of other fans in order to prevent them from offering more support than themselves. And again, all the same is true of a folk under National Socialism. Therefore it is incumbent upon the National Socialist leader to instill in each sincere follower a feeling of being valuable to the folk in a way that does not require knocking down the value of other similarly sincere followers. Other forms of socialism rely on the (false) premise of egalitarianism to argue in support of this, but National Socialism, which rejects egalitarianism, relies instead on the principle of citizenship. It matters not that two people are unequal; the simple fact that both are citizens means that both are people whom the leader is glad to have among the folk, both people whom the leader would rather be present than absent, and this is all that any citizen needs to know in order to have an attitude of fellowship towards any other. Egalitarianism, which argues for fellowship based on equality, actually implies that non-equality is sufficient reason for rejecting fellowship. Thus it sets up a backlash against itself (which is what Zionists designed it for). Fellowship based on citizenship avoids this. Citizenship is not the same as nationality. The term “nation” etymologically derives from root “natus” meaning ”birth”; people are fellow nationals by being born in the same country and therefore possessing shared experiences of growing up in that country. (Racists who claim that common nationality requires common ethnicity again display their illiteracy.) The term “citizen”, on the other hand, etymologically derives from the root “civitas” meaning “commonwealth”; people are fellow citizens by having added value to the same country and therefore possessing a shared stake in that country. For the pop culture comparison, a fan of an icon is supposed to be more than merely a viewer/subscriber of the icon – a fan is expected to have actively participated in fanwork and thus supplemented the icon’s impact rather than merely enjoyed the icon’s impact. 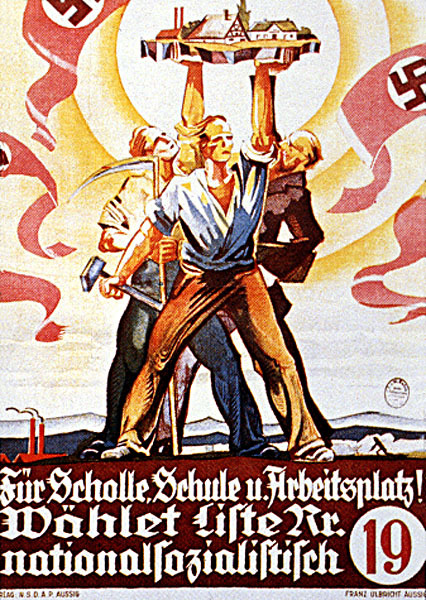 It is hoped by the National Socialist state that nationality serves as sufficient motivation for citizenship that every national becomes a citizen, but non-nationals can certainly also become citizens, whereas nationals who have not contributed to the country (as well as warped nationals who themselves may contribute to the country but who try to obstruct others who wish to contribute to the country from doing so) will certainly not become citizens. Therefore it is the duty of the National Socialist state to rigorously define contribution, set the minimum quantity of contribution required from each person for citizenship to be awarded to that person, and establish a system of measuring contribution. Again, this is no more complicated and conceptually no different than running a fanclub. 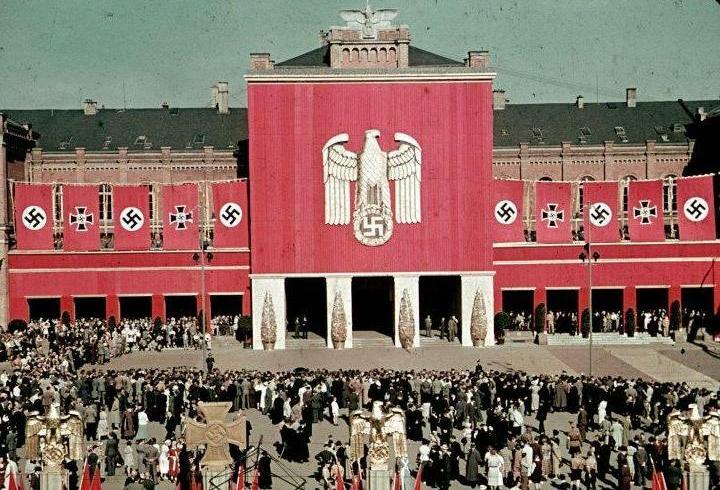 The more purposeful the definition of contribution, the more wisely set the minimum quantity of contribution required for citizenship, and the fairer the system of measuring contribution, the better the state is an example of competent National Socialist administration.